“John Baldessari is an American conceptual artist born in National City, California in 1931. 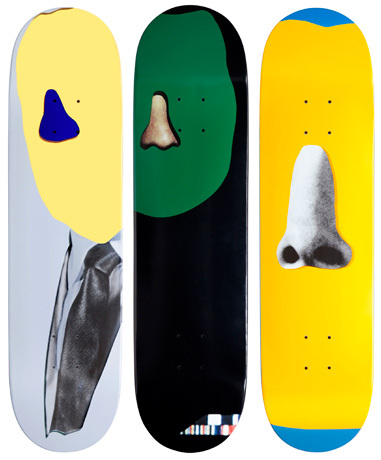 Set of 3 John Baldessari Skateboards decks, circa 2010. Screenprinted, signed on back. Sealed condition.